The Marco bar stool is sleek and smooth. The seat and backrest is made from Maple veneer and then polished Natural finish. This stool is perfect for a busy commercial environment. Four leg bar stool for extra stability and suitable for a wide variety of commercial applications. 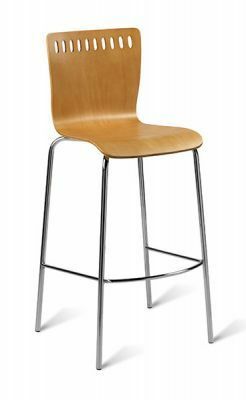 These bar stools are held in stock in the UK for a rapid delivery.